Two little girls vanished on a warm summer day from a playground near their home on Chicago's South Side. 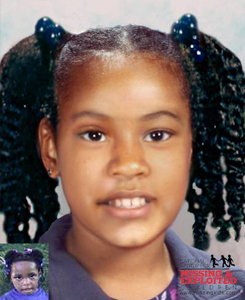 Seven years have gone by since Tionda Bradley, 10, and her sister Diamond, 3, went missing. A 'Cold Case' that still remains a mystery and is in need of solving'. Can any American members help with news reports? Thanks for posting Tezza. That is so sad. Official website to help find Tionda & Diamond Bradley. Please have a look. It is also important to note that there is a reward of $30,000. 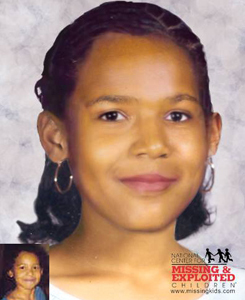 Diamond's photo is shown age-progressed to 8 years. Tionda's photo is shown age-progressed to 15 years. 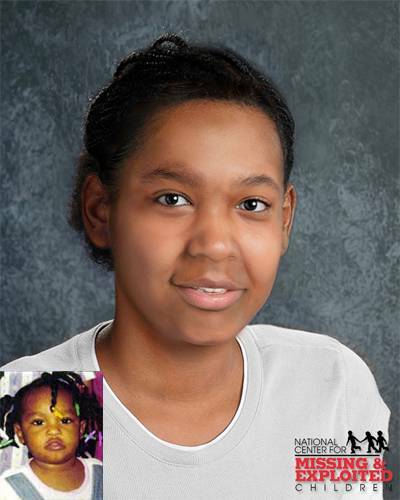 Diamond's photo is shown age-progressed to 10 years. Tionda's photo is shown age-progressed to 17 years. Where are Tionda and Diamond Bradley? Tracey Bradley is breaking her silence. For the past two years, she hasn't appeared at vigils for the girls. Today she said it was too difficult for her. But she says eight years has been too long and too painful. "It's very scary," Bradley said. "I don't even come this way anymore." She's walking the bridge where she started looking for her daughters, Diamond and Tionda. Tracey Bradley says each step takes her back to that frantic search. Tionda and Diamond are still listed as missing. There are no current updates available at this time. Tionda would now be 20 years old and Diamond would be 13 years old. A new age progressed image.